All work and no fun is not a recipe for success, no matter how you look at it. 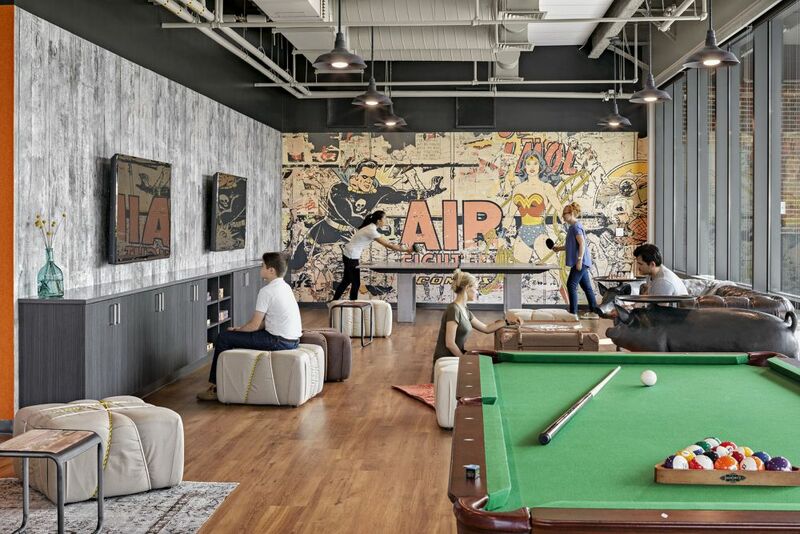 This is why a lot of companies are designing their offices in ways that inspire the employees to relax, to have fun and to feel comfortable and joyful at the workplace. 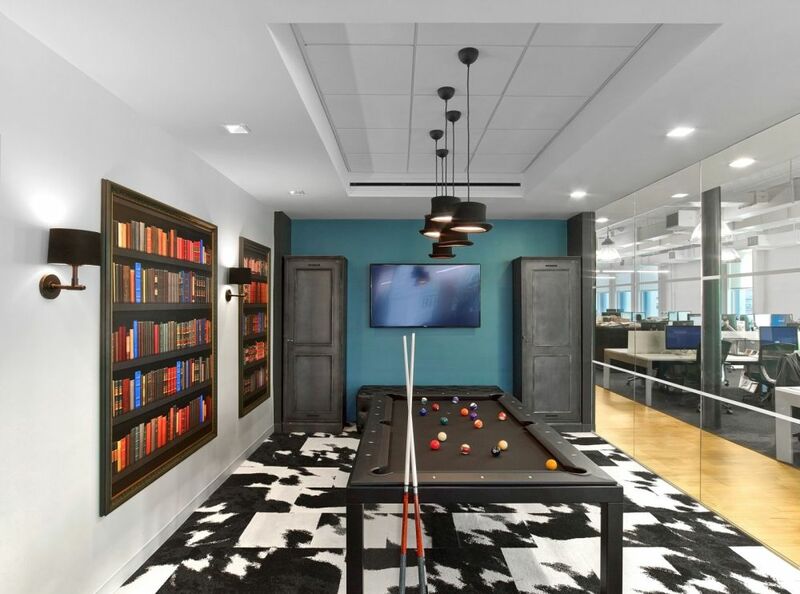 Some even have office game rooms. They’re spaces where you usually find video game consoles, arcade games, pool tables, foosball tables and other such things. 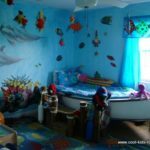 Perhaps you can find inspiration in the following examples to design a beautiful game room for your home. 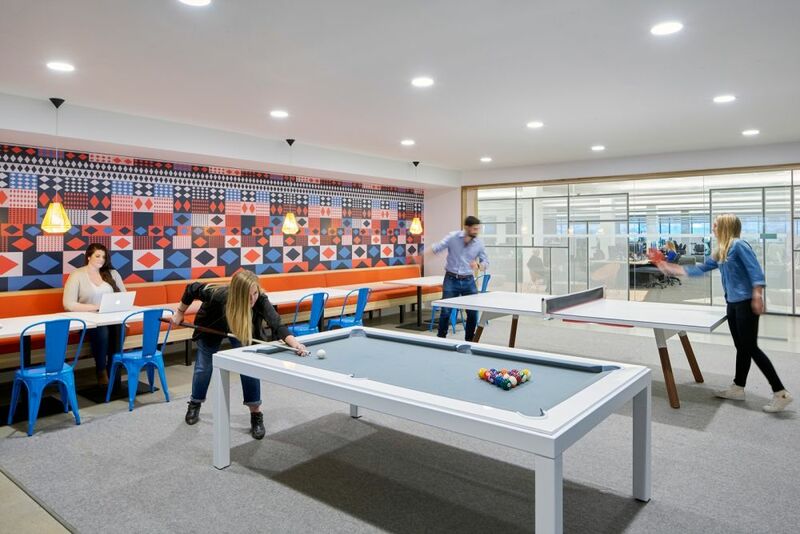 The office spaces designed by Interior Architects for Cayan are colorful and fun and include a lot of cool features such as this game room/ recreation area. 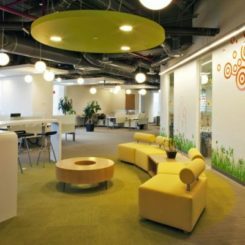 The office is located in Boston, Massachusetts and its interior design promotes teamwork and collaboration and inspire employees to be creative. 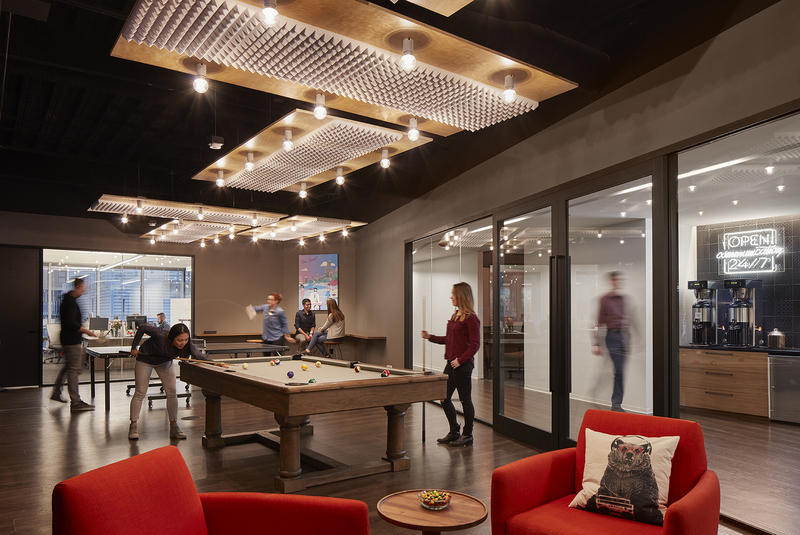 The Sprout Social office designed by Partners by Design in Chicago, Illinois has a really cool and stylish game room and gives a lot of importance to the overall ambiance and the morale of the employees at the workplace. 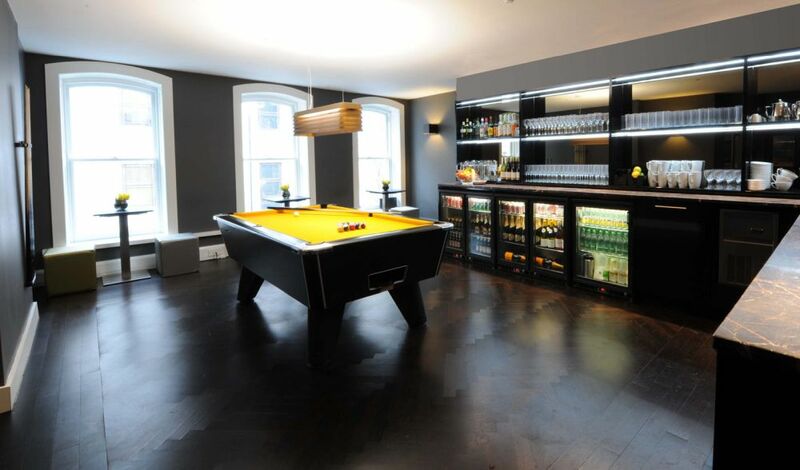 In addition to the game room, there’s also a bar, a large kitchen/ pantry and a movie area. 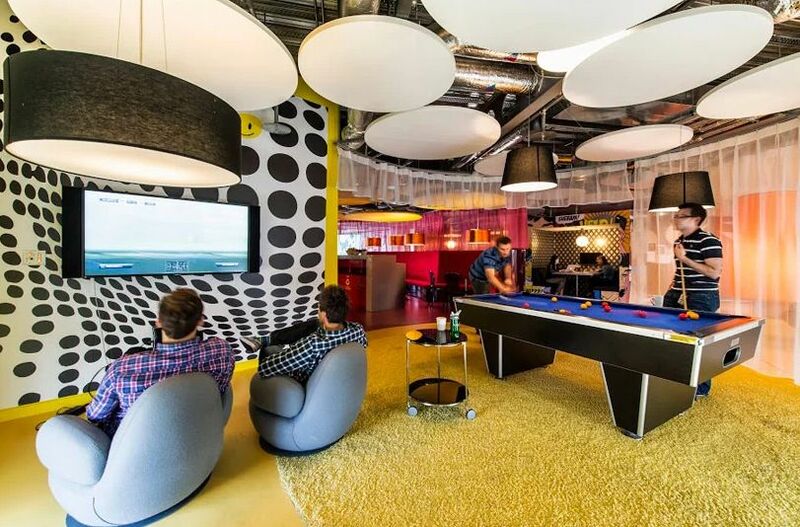 Google has some of the most inspiring, employee-oriented office designs out there, this being one of them. This is an office interior designed by NELSON in Boston, Massachusetts. 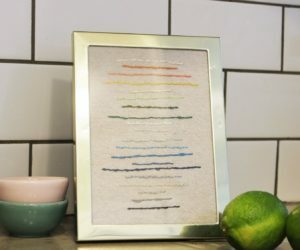 It has a lot of colorful and fun features like this mini golf course that also acts as a decoration for the lounge area. 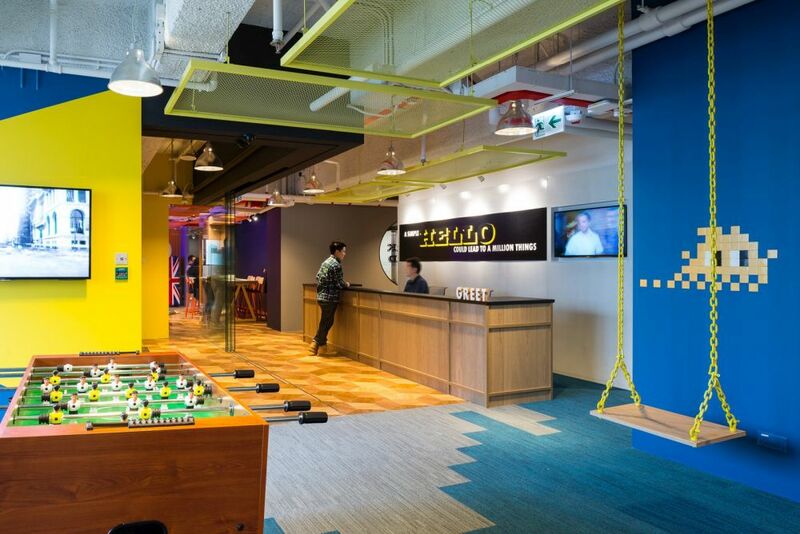 The Google office designed by M Moser Associates and located in Kuala Lumpur, Malaysia is pretty cool and colorful too. 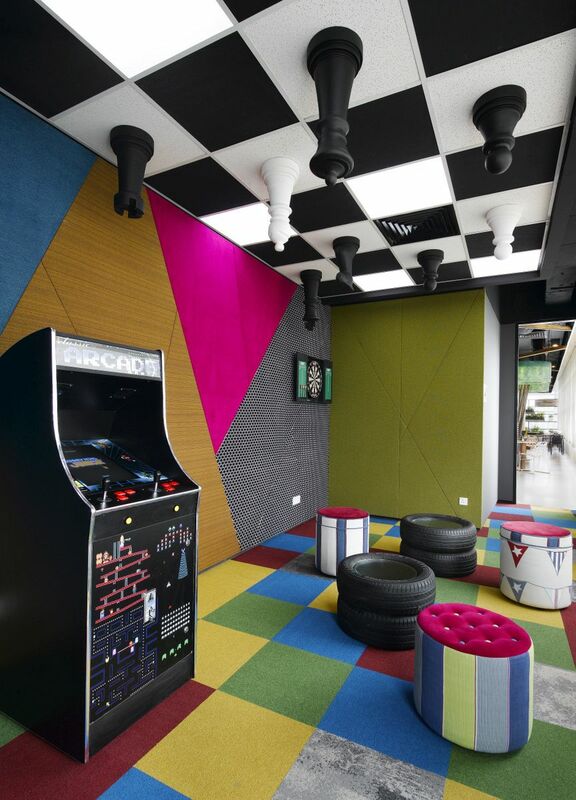 It has a game room with checkerboard carpeting on the floor, a black and white ceiling that looks like a chess board and a vintage arcade game console. There are also other interesting elements here like the tire ottomans for instance. 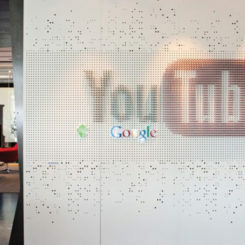 The Amsterdam Google offices look cool too but in a unique way. 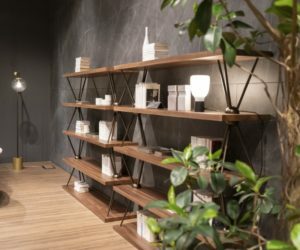 Here, the designers at D/DOCK left the exposed bricks on the walls to create a warm and cozy vibe throughout and played with a variety of simple elements which when out together create a dynamic and vibrant ambiance. This is one of the recreation areas. 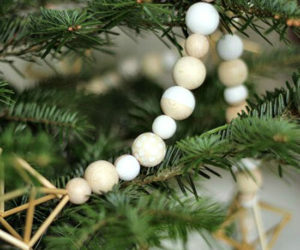 It has comfortable seating, individual side tables, a foosball table and fitness balls. 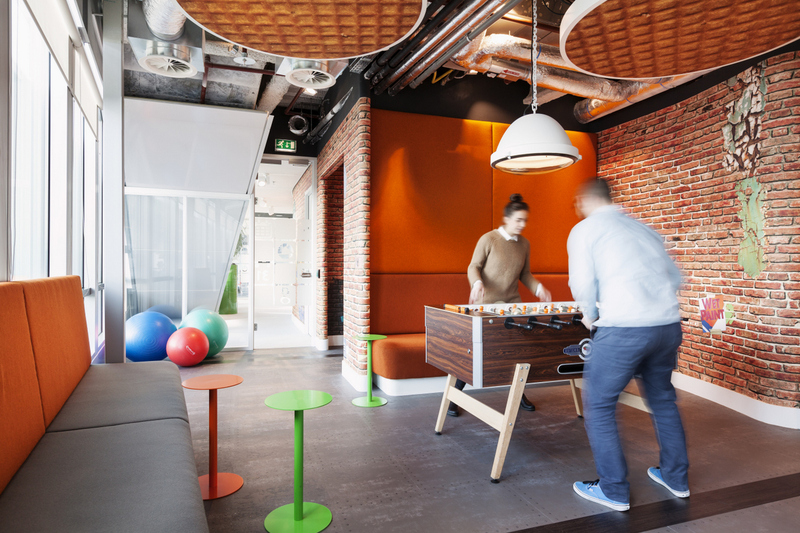 For the Dublin Google Campus, Camenzind Evolution and Henry J. Lyons Architects came up with the idea of decorating the game room with oversized pendant lamps which draw the eye upward without overwhelming the space. Soft and fluffy carpeting on the floor create a sense of warmth and comfort. 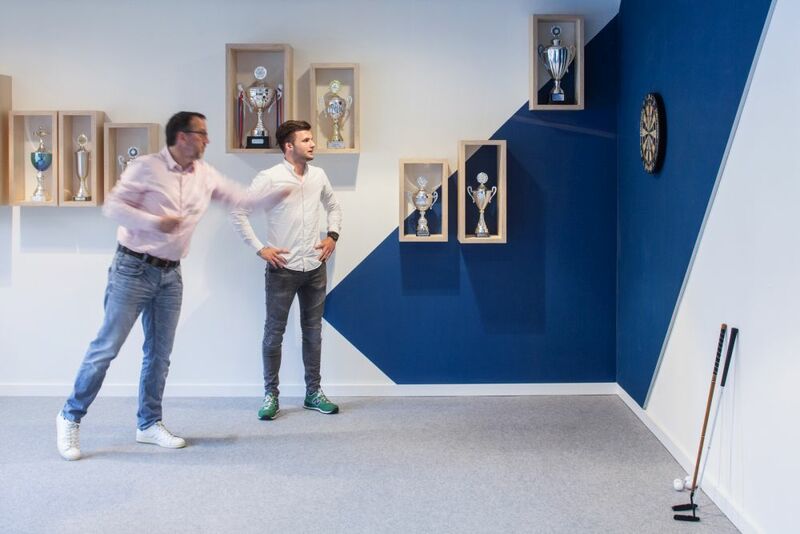 Simplicity works too, as demonstrated by VOID interieurarchitectuur, the studio which designed the interior of the LINKIT offices located in Utrech, the Netherlands. 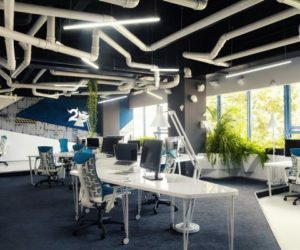 Using white and blue as the main color tones for the space, the designers focused on making this space feel welcoming and comfortable without overwhelming it with too many features. 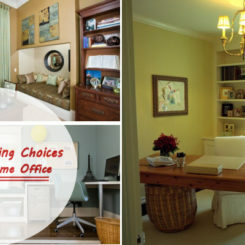 A game room, whether in an office or in a private home, doesn’t need to be overly complicated or crowded with lots of features in order to be fun. 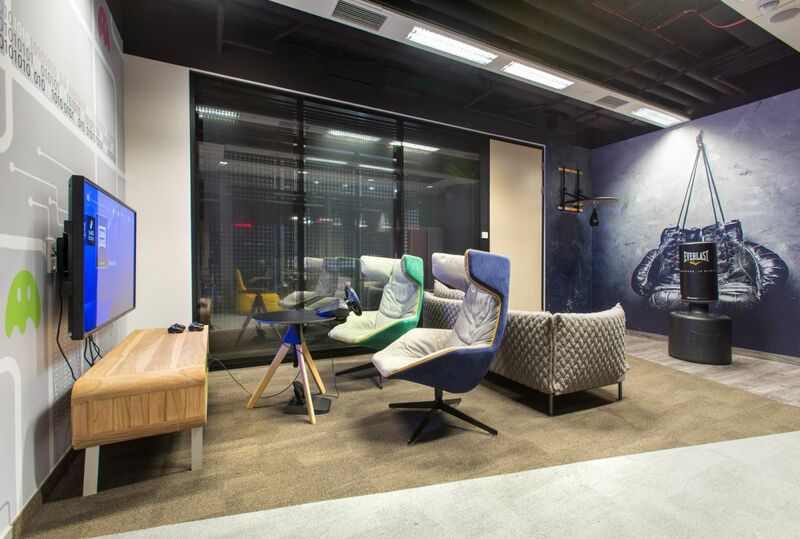 The focus should be on comfort and that’s the strategy that Massive Design used when customizing the interior of the EY offices from Warsaw, Poland. those chairs are the stars of the room. 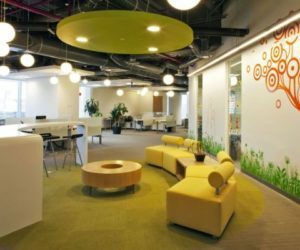 When Baker Design Group, Inc. customized the new Trip Advisor headquarters located in Needham, MA, the inspiration came from typical urban lofts. 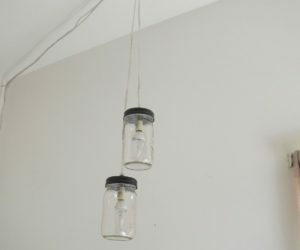 The offices have high ceilings, exposed brick walls, industrial lighting fixtures and comfortable furniture throughout. 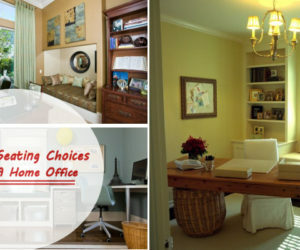 This is the game room area which, like all the other spaces, has a relaxed and casual appeal. 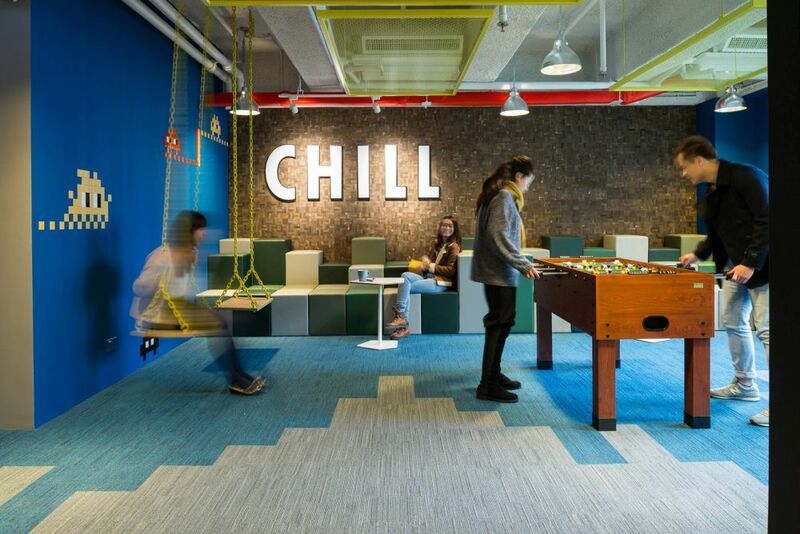 LinkedIn has a cool campus created by AP+I Design. 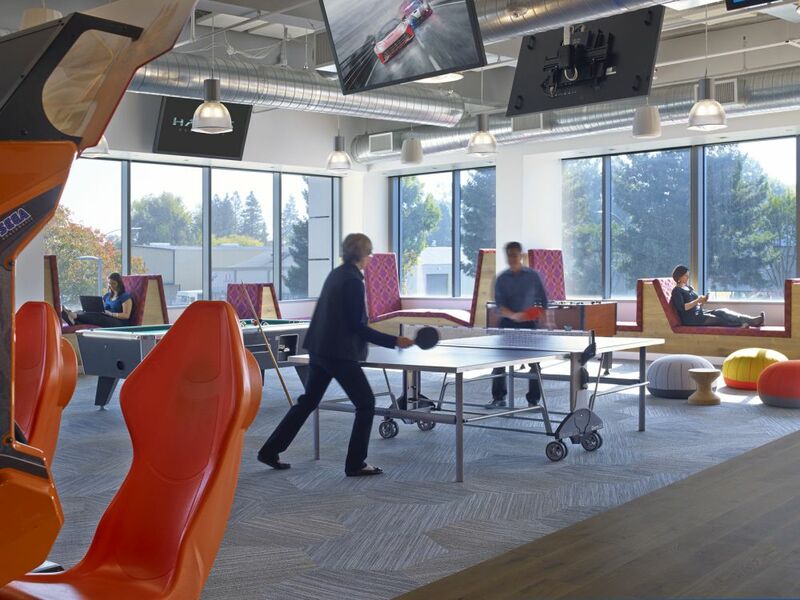 It’s located in Sunnyvale, California and it’s designed with a great sense of community and teamwork, featuring a variety of spaces with encourage productivity in a fun and playful manner. 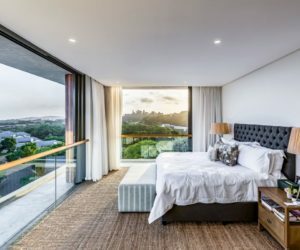 An example is this game room which has a ping pong table and several comfy window nooks where one can relax with a book or do some work on the laptop. The idea behind the design of the office space created by Spatial Concept for The Wave in Hong Kong was to treat this space like a sort of mini village with separate zones for eating, working, relaxing or holding meetings. 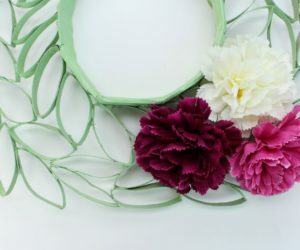 The ambiance inside is friendly and playful and we’re particularly fond of the wall decor and the swings in the game room. 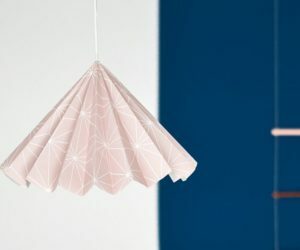 The Kimball showroom in Chicago, Illinois was recently redesigned and a lot of importance was given to the colors, textures and materials, the goal being to make the office a space that people want to be in. 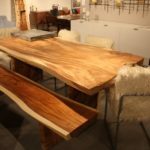 Reclaimed wood and steel give the office and subtle rustic-industrial charm and minimalist furniture emphasizes the modern vibe of the the space. 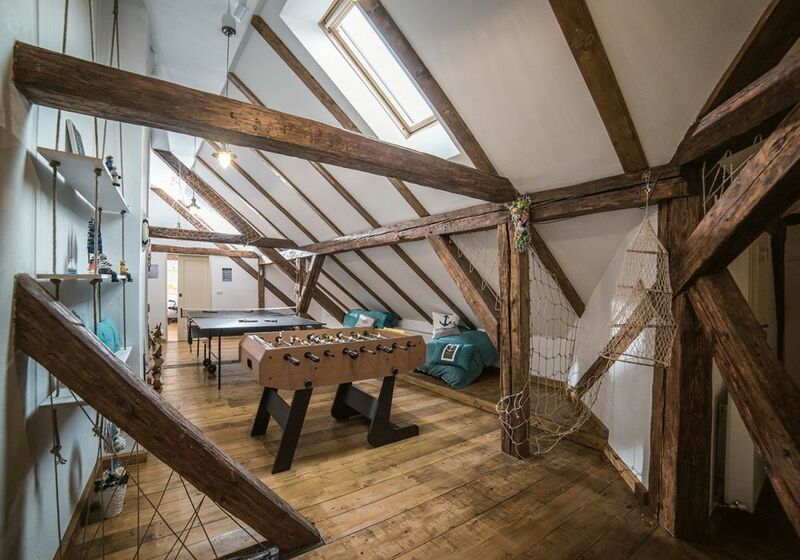 A particularly cool area is the game room. An attic is not exactly the best type of space for an office but, as it turns out, can make an awesome game room/ a cozy lounge space. 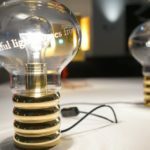 The most inspiring example in this sense is the Presslabs headquarters located in Timisoara, Romania. All the work is done on the third floor and the attic is just a fun little retreat where employees come to clear their minds. 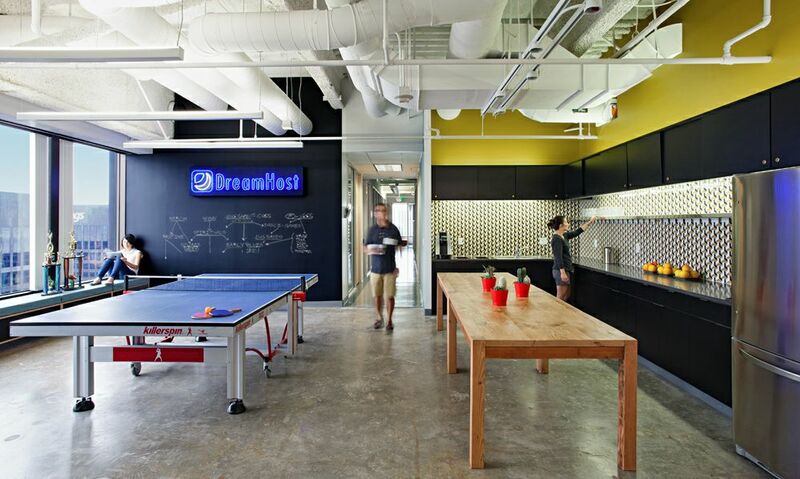 There’s a lot to admire in the design of the Dreamhost offices from Los Angeles. 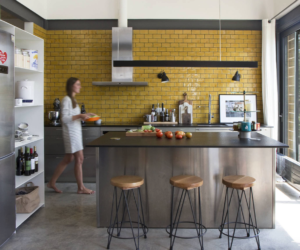 The interior was customized by Studio O+A and is incredibly bright and open, with large windows, lots of natural sunlight, polished concrete floors and blackboard walls. There’s a separate area for social activities. 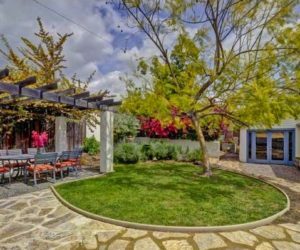 It includes an open kitchen and dining space and also has a ping pong table and cozy window seats. 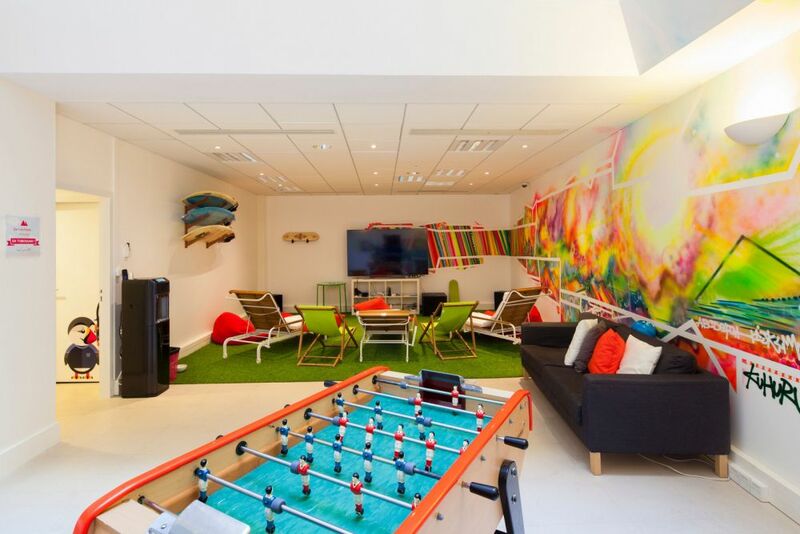 Like most modern workspaces, the BGB Group office from New York has a dedicated relaxation room. 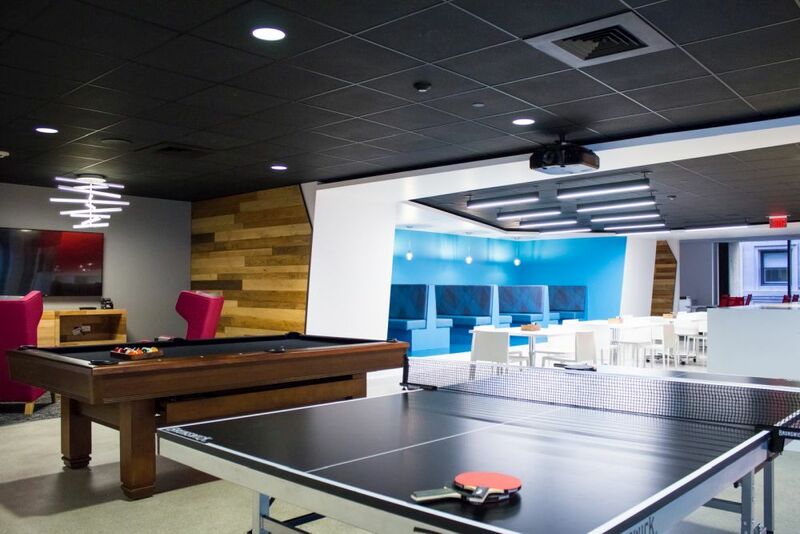 In here employees can come to play games, read books and socialize and bond. 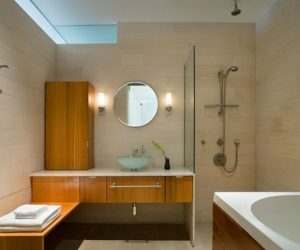 The interior design was done by TPG Architecture and perfectly blends casualness with professionalism. 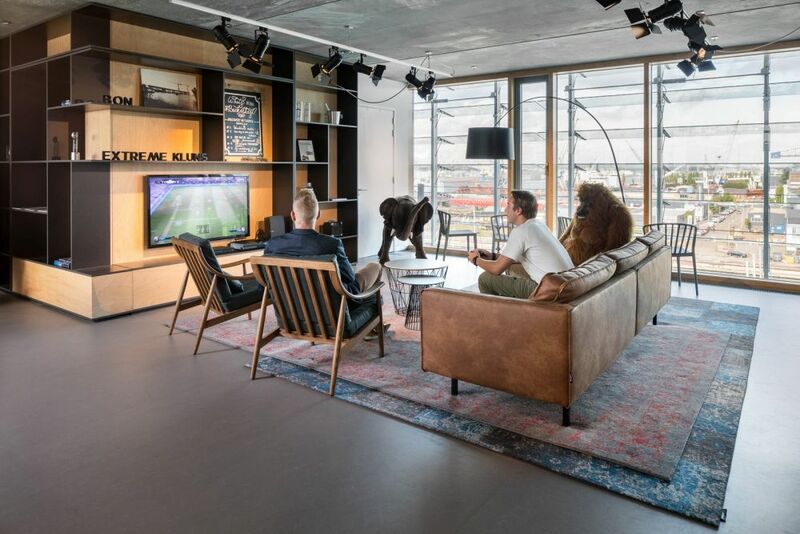 When they designed the Inferno offices in London, The Interiors Group and Bluebottle focused on separating the work areas from the office bar and game room and giving each zone a warm and home-like ambiance by maintaining an elegant decor throughout. 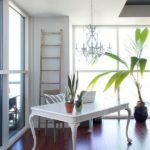 The whole office looks like a large home, with a kitchen, a living room, a dining area and other such spaces, all linked by rich wood tones and stylish furnishings. 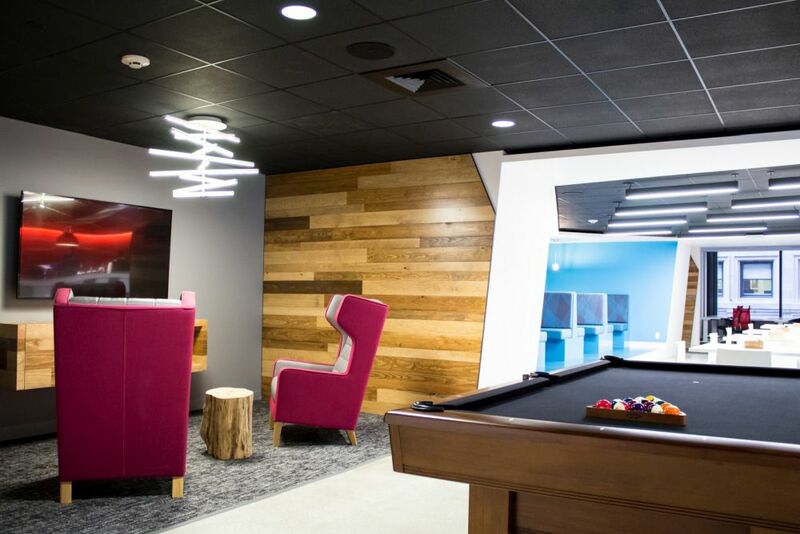 It’s important for an office space to reflect the company’s philosophy and to inspire people so that’s what O+A tried to highlight most when designing the interior of the Cisco campus spaces, including this colorful game room which features eye-catching wall patterns and cozy seating areas that encourage employees to interact and to enjoy each other’s company. 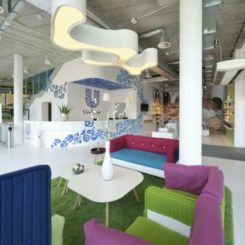 The office space designed by DZAP for Discovery Network Benelux in Amsterdam has a really cool home-inspired feel as well. The area that’s most suggestive in this sense is the relaxation zone which looks a lot like a living room. 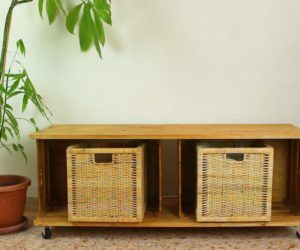 It has a comfy sofa and armchairs, area rugs and a wall unit with a TV and a game console. 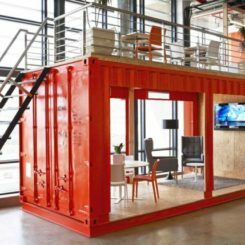 The new PrestaShop office in Paris is one of the coolest workspaces ever. 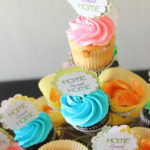 Its walls are decorated with fun and original artwork and graffiti and there’s an awesome game room with lounge chairs, poufs, a comfy sofa, colorful wall decor and all sorts of other things. The office also has a fluffy cat so what else could you wish for?